Huawei Ascend Mate7 is the first smartphone powered by a super eight-core Kirin 925 SoC chipset, which uses intelligent switching to provide the perfect balance between performance and power. Ideal for the most important things, like multi-tasking or enjoying your favorite 3D games or videos for longer. A smart technology for the smart world you live in. Another Amazing feature of the Huawei Ascend Mate7 is the 360º fingerprint sensor located at the back of your Device. Life with Huawei Ascend Mate7 is all about you. So just touch the sensor, located conveniently on the back of the smartphone and your Mate7 recognizes your fingerprint, awakening instantly without the need to unlock or press any other buttons. Its innovative concave design and high pixel per inch ratio achieves a quick and accurate identification, making life with your Mate7 even more convenient. 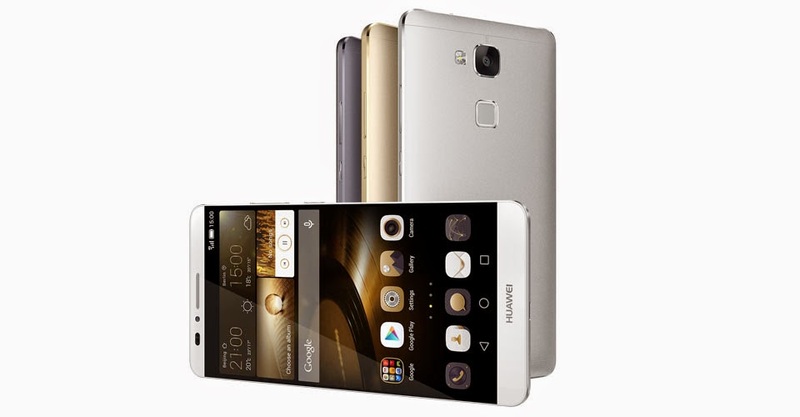 The Huawei Ascend Mate7's Price in Ghana ranges from Ghana Cedis 1200 or less. Nice Fone but can you please give the exact price?